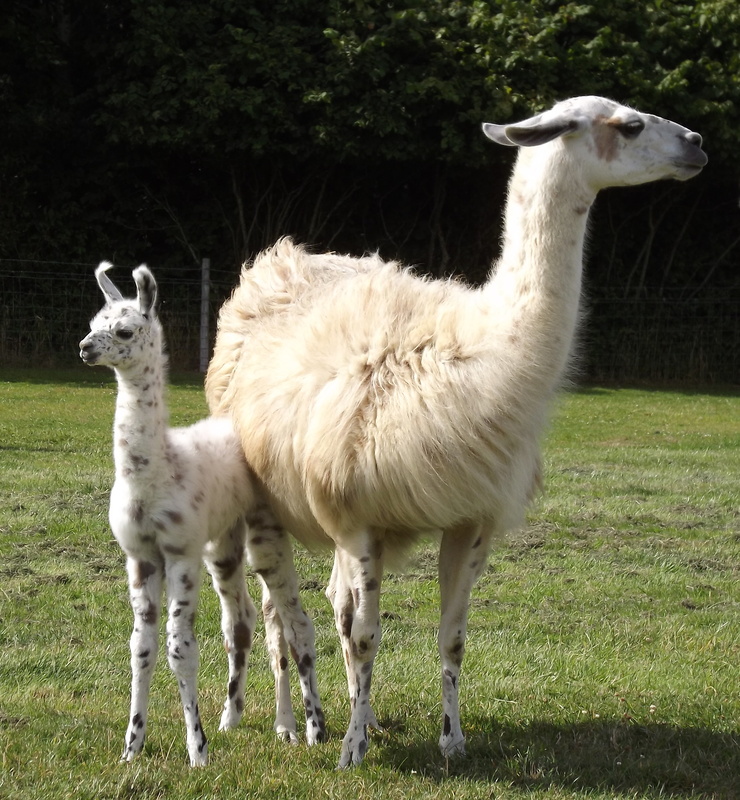 The wait is over and our last cria of 2015 has finally arrived and it’s another beautiful baby girl! We had been watching Coya very closely over the last few week because we knew it could happen at any moment… and yesterday it did! 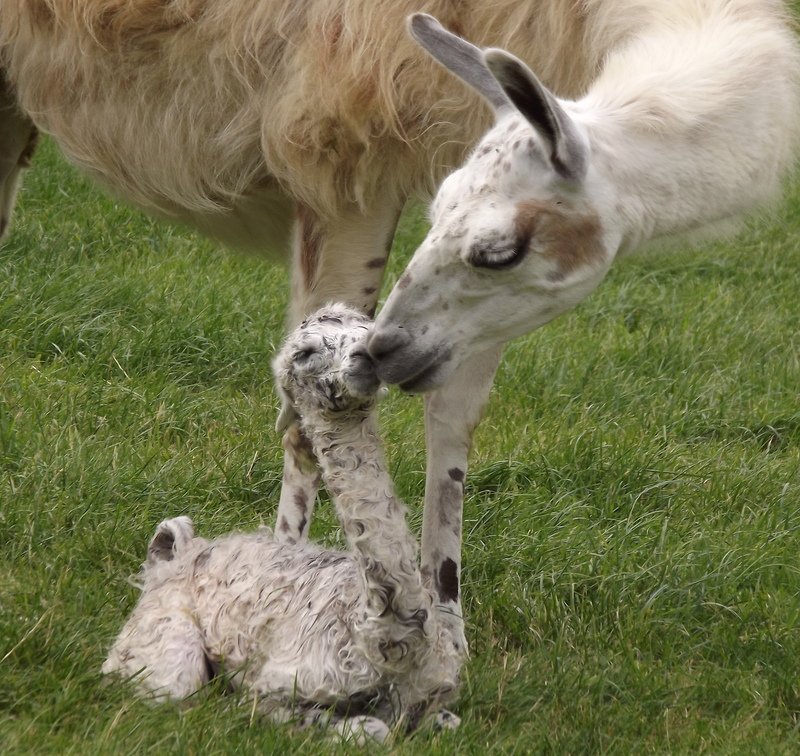 (apologies to all that came trekking at the weekend and was hoping to meet her – Coya obviously wanted to keep her all to herself) She gave birth to a huge and healthy baby girl at 1.30pm on Monday afternoon. 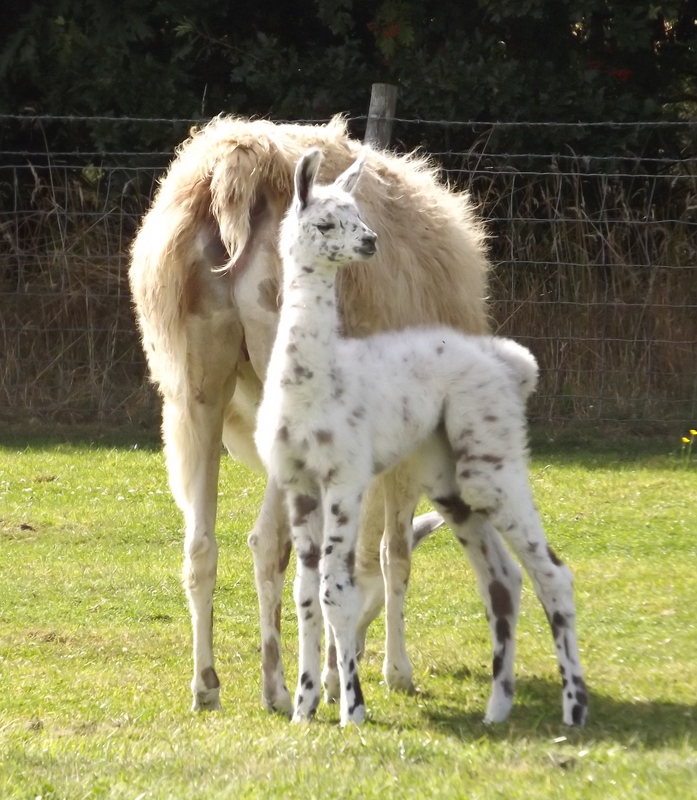 We were very excited when we realised she had spots like her mummy and they were the colour of her daddy Xing! 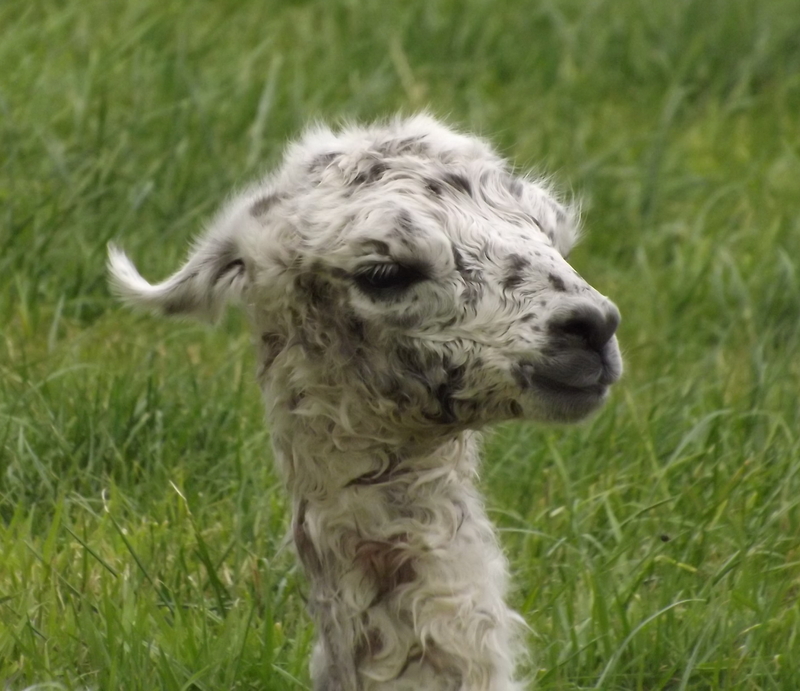 Mother and baby are doing great and she is skipping along after mom already. 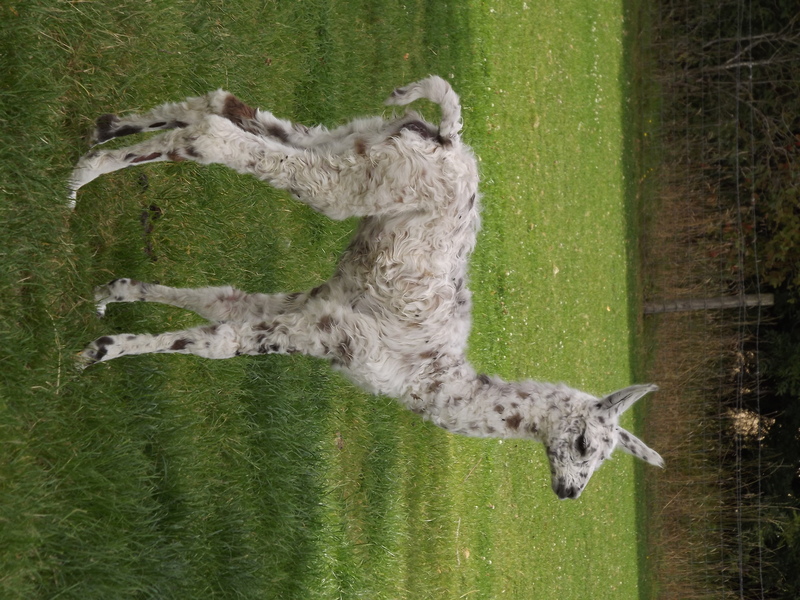 As this lovely baby has landed on the letter H we have decided to name her Hominy. Finally we can relax as all of our babies of 2015 have now arrived safely!